The FBI’s wiretapped phone records reveal that President Trump is ready to dump Melania, Donald Jr and Eric – but not Ivanka or his money – for asylum in Russia. WASHINGTON DC — The FBI’s secret phone-tapping of Donald Trump has revealed that the embattled US President is negotiating with Russia for political asylum. The rest of Trump’s family, including his wife Melania, children Barron, Tiffany, and the “terrible two,” Donald Jr. and Eric, are not included in the deal. Putin: Privet (Hello) Trumpski! Here is Vladimir! Trump: Vlad! Thought you’d never call back! Sad! Putin: Is good, Trumpski. Arrangements are being made. You bring all your rubles, da? But no family or friends! Trump: But Vlad! What about Bannon? I can’t think without him. This was all his idea. He’s a Leninist, you know, one of your guys. Putin: Alrightski, Bannon. But he has to shave, every day. Putin: OK, OK (OK, OK). And Amerikanski nuclear codes, pliz, or no deal. And names of CIA spice with! Putin: Da! Secret agentski. No spice, no deal! Trump: OK, Vlad. And my golf clubs, da? I speak Russia good, yes? Trump: So Ivanka and I plan to fly into Moscow on April Fool’s Day, April 2nd. The stupid American press will think it’s a prank. This will give us enough time. 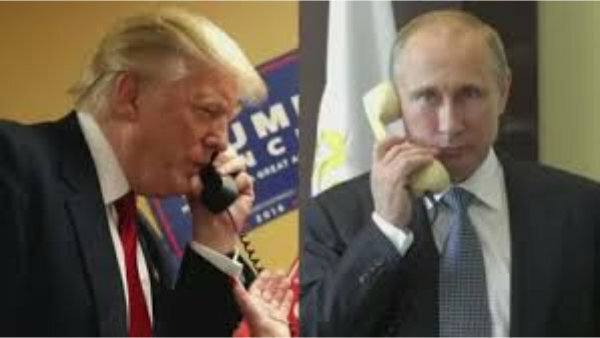 Trump: Listen, Vladdy, gotta go. Melania just walked in carrying Dr Seuss. Putin: Nyet tell her about the places you’ll go! Trump: Fat chance! She’s the main reason I’m doing this. And the prospect of jail, of course. Putin: We got some of those here too, Trumpski. Do svidaniya, idiot. How Magical Is Donald Trump?